Efficient inventory management and stock control is at the core of your business, enabling you to stay ahead of competition, keeping costs down, spend money wisely and avoid making poor choices. 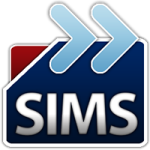 The Shireburn Inventory Management System (SIMS) is a cost-effective inventory management software solution, scalable for small and larger businesses, and modular to support a variety of different operational sectors. It provides a flexible and practical solution for your business. We are highly satisfied with Shireburn’s systems and service at our Group, always having received instant help from all their staff and management. Shireburn provide us with accounting, payroll and inventory solutions for various companies in our Group, helping us to improve our own client services, reduce paper work and save on time. The decision we made to use Shireburn is a decision which we do not regret. Bilven Ltd are leading building and civil engineering contractors. We were referred to Shireburn for our new business venture for financial and inventory software. Following the successful implementation of the financial and accounting modules, and the positive experience working with Shireburn, we decided to add the HR function to the suite by installing the Shireburn Payroll System and the Shireburn Leave Manager application. We now have a holistic and integrated solution covering all our operations. BILOM Tiles & Decor focus on creating comfort. BILOM offer a vast range of tiling solutions, bathroom accessories and sanitary ware amongst others.